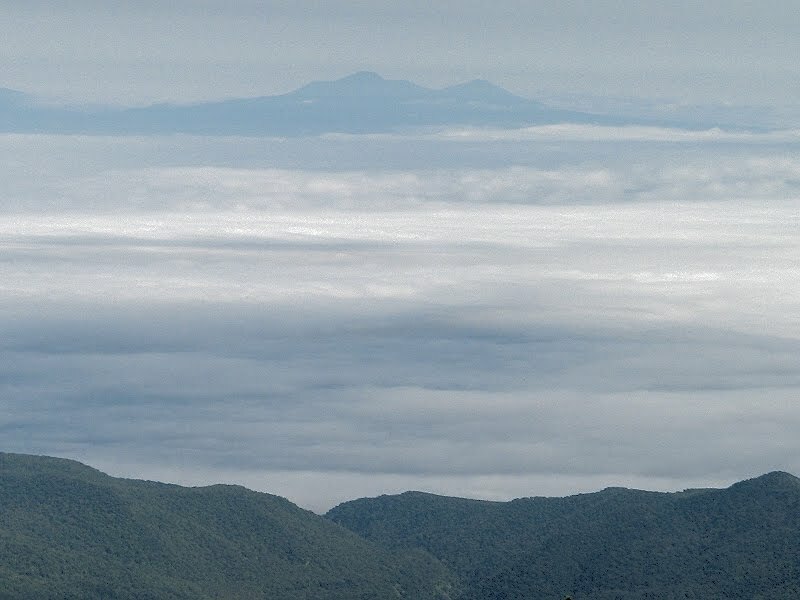 Kunashiri Island, seen from the crest of Japan's Shiretoko Peninsula, floats dream-like on a sea of clouds (photo taken on September 6, 2008, 13:05 during our group's climb of the Rausu-dake volcano). The island, part of the Kuril chain, is claimed by both Japan and Russia and is administered by Russia. 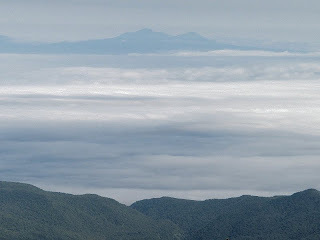 The mountain seen in the photo is the volcano Tyatya (Тятя), also known in Japanese as Chacha-dake (ちゃちゃだけ). For a view of the Kuril Islands dispute, from a Russian perspective, check out the documentary Between Two Shores at YouTube.